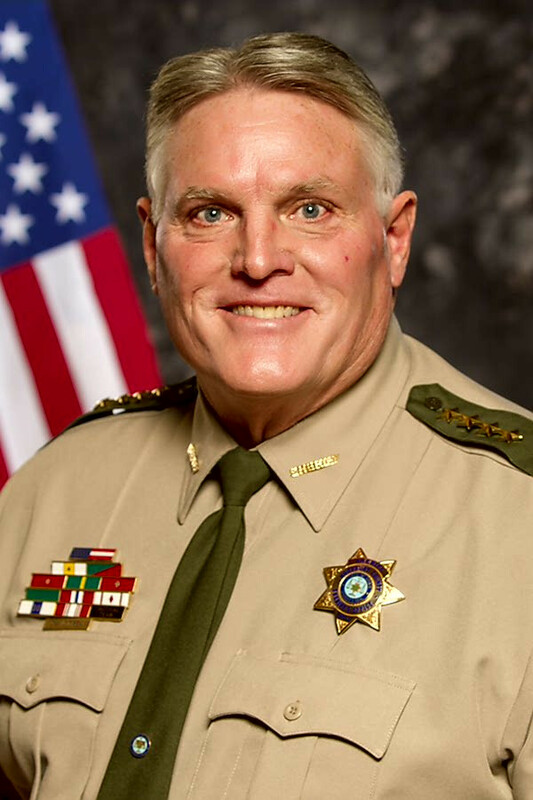 Sheriff Dave Drew was elected as the 33rd Sheriff of Woodbury County, Iowa in November of 2012. He was re-elected again in 2016 and was the first Sheriff to run unopposed in over forty years. The Woodbury County Sheriff's Office has 120 employees and covers 872 square miles with a population of 102,271. Since serving as Sheriff, our patrol division implemented Community Policing and Directed Patrol concepts in our communities. Because of this, we entered into our first ever 28E agreement with several communites, taking over policing in those communities. We have implemented changes in the jail that have helped us with staffing and security issues. We have focused training our staff for critical incidents and working tirelessly to reduce jail population through collaboration with all stakeholders involved in the criminal justice system. Our Reserve Deputy program has grown from four to thirty volunteers. Our Reserves play an active role in our community policing and outreach programs, along with assisting in patrol functions. Since making changes to the Reserve program, we are proud to say more than a dozen Reserve Deputies have moved on to full-time careers in law enforcement after having the opportunity to train and work as a Sworn Reserve with Woodbury County. We were the first agency in Iowa to purchase Taser Axon Body cameras for our staff. We felt this would give a true depiction of what law enforcement is faced with on a daily basis, both in the jail and on the street. This also shows our willingness to be transparent in all we do. We took control of Courthouse Security in 2014 and placed all security personnel in Sheriff's Office uniforms and put them in our quarterly in-service training rotation that the rest of the Sheriff's Office staff receives. That change provided better security for the courts, county employees and the citizens that use the building for business reasons. Starting in 2018, we began teaching the DARE program in our county schools again. We felt this was a another key piece of our community policing efforts so we worked to re-implement the program. We found great support from our schools and we are proud to say we are making a positive impact on our young people in Woodbury County. We continue to play an active role in our communities by volunteering for causes. We have volunteered at Convoy of Hope, Salvation Army Food Basket and Toy Drive, along with numerous other agencies and events. We feel that giving back not only reflects positively on the Sheriff's Office, but it shows a genuine spirit of caring!